Our company name figures amid the prominent Suppliers of AISI 5160 Steel Pipes and offers the most lucrative deals to the patrons. Owing to the immense and well-maintained storage space, we efficiently keep the wide assortment of products in safe place to ensure complete safety. Our automated storage space helps us in maintaining the quality standards as well. AISI 5160 pipes offered by steel mart is from prime manufacturers & has zero rejections. Steel mart firmly believes in catering to the needs of the customers by way of supplying genuine – tested materials at extremely reasonable rates. Steel mart is an ISO 9001:2008 certified company which reflects the quality consciousness of the boss & staff members. Steel mart is in a position to supply all kinds of steels n metals in round , square , flat , sheet , plate , coil sections and holds approx 900 m/t to 1000 m/t stocks of the materials in various godowns & warehouses. Steel mart specializes in the supply of:- AISI 5160 pipes. 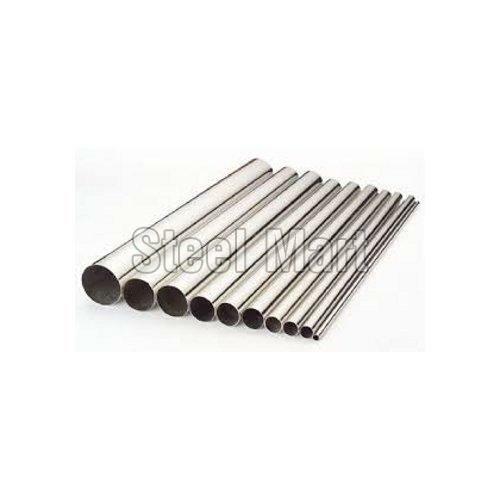 The said AISI 5160 pipes materials are always supplied with the test certificates and can be supplied in bulk quantity as well as retail quantity as per customers requirements. AISI 5160 pipes can be supplied in size ranging from 4mm dia to 200mm dia AISI 5160 pipes are supplied by us to various industries proudly state that customers come back to us – with regular orders , not with rejection complaints.